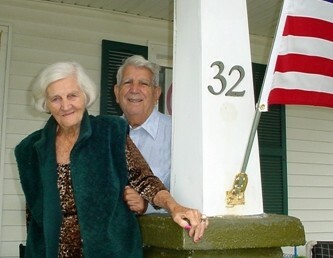 "To the outside world, my home may have been just wood and concrete, but to me, it is my whole existence...a little piece of heaven with my wife..." - Louis Anzalone, Long Branch, N.J.
One year and seven days after his wife, Lillian, quietly slipped away on the porch of their beachfront home, Louis Anzalone, 92, and his neighbors on Marine Terrace, Ocean Terrace, and Seaview Avenue - MTOTSA - in Long Branch, N.J., settled their long-standing eminent domain battle with the city. Today in open court, in Freehold, most of the property owners signed releases, and attorneys for the city, developer, and property owners finalized a consent order, bringing closure to the case. Download the final order. City of Long Branch v. Anzalone, and its companion cases, were reversed and remanded to the trial court in part on August 7, 2008. Today's settlement, which resulted from lengthy negotiations and mediations with Judge Thomas W. Cavenagh, dismisses the eminent domain complaints against all defendants. In addition, the city of Long Branch and the developer are paying aproximately 60 percent of the legal fees and costs of the defendants. The property owners are now free to continue to live in their homes, or to rebuild in compliance with the amended redevelopment plan. If they choose to rebuild, they can be designated as redevelopers and receive the same tax benefits as the designated developers did for Phase I of the Beachfront North project. This is a big win for the property owners and property rights advocates. Tonight in a Special Meeting of the Long Branch City Council, resolutions memorializing the settlement agreement are on the agenda. Download the Long Branch Agenda here. Tomorrow's court hearing could resolve long-standing eminent domain battle for homeowners in the MTOTSA neighborhood, Long Branch, N.J. Pending resolution, homeowners and attorneys will speak to media after court hearing. On Tuesday, September 15, 2009, at 1:30 p.m., the long-running fight to protect the homes in the MTOTSA neighborhood of Long Branch, N.J., against eminent domain for private gain could come to end. An agreement will be discussed in the courtroom of Judge Thomas Cavenaugh, who has presided over discussions between the parties for the past several months. The Institute for Justice—a public interest law firm based in Arlington, Va., that litigated the Kelo v. New London eminent domain case before the U.S. Supreme Court—represents the homeowners along with New Jersey eminent domain attorneys Peter Wegener of Bathgate Wegener & Wolf and William J. Ward of Carlin & Ward. After the case was sent back to the trial court and the city announced that it was willing to drop the eminent domain actions, the parties began discussing how to resolve the remaining issues in the case. If the case resolves, attorneys along with MTOTSA property owners will speak with the media immediately after the hearing in the courtyard in front of the Hall of Records in downtown Freehold, New Jersey. To arrange interviews with William J. Ward or property owner Louis Anzalone, please contact Susan Ward at 973-377-3350, ext. 106 or 973-464-5669, evening/weekends. To arrange interviews with the Institute for Justice, call John Kramer, vice president for communications, at 703-682-9320 ext. 205 or in the evening/weekend at 703-587-1992. See links to relevant blog posts and court opinions. The New Jersey Supreme Court has granted certification to a second eminent domain case for the 2009-2010 term. The case is City of Long Branch v. Jui Yung Liu (A-0237-06T2). At the heart of this case is a question similar to those that are under consideration by the United States Supreme Court in the Florida case, Stop the Beach Renourishment, Inc. v. Florida Department of Environmental Protection, Docket No. 08-1151. See previous blog post, SCOTUS grants cert in beachfront renourishment case (June 22, 2009). WHETHER THE JURY'S DETERMINATION TO MAKE NO AWARD FOR THE ENHANCEMENT VALUE REPRESENTED BY THE FURNITURE, FIXTURES AND EQUIPMENT FUNCTIONALLY RELATED TO THE BUSINESS WAS AGAINST THE WEIGHT OF THE EVIDENCE AND WAS A MISCARRIAGE OF JUSTICE? WHETHER THE MOTION JUDGE ERRED IN FAILING TO REQUIRE THAT THE CITY'S VALUATION OF THE PROPERTY INCLUDE PROPERTY THAT CAME INTO EXISTENCE THROUGH THE BEACH REPLENISHMENT EFFORTS OF THE U.S. ARMY CORPS OF ENGINEERS? Settlement discussions in the Long Branch eminent domain cases began on December 22 before Judge Thomas W. Cavanagh, Jr., who was designated by Monmouth County Assignment Judge Lawrence Lawson to conference legal counsel and concerned parties in City of Long Branch vs. Anzalone. The case was remanded to Judge Lawson by the Appellate Division (See the opinion issued August 7, 2008). Subsequent cross petitions for certification filed with the Supreme Court by the City of Long Branch and the property owners were denied. A key player in the settlement discussions, which will continue on January 15, will be the designated developer - a joint venture of Hovnanian subsidiary Matzell and Mumford and the Applied Companies of Hoboken. Lillian Anzalone died at home this morning. She was 91. Mrs. Anzalone was born in Newark on February 10, 1917. She was a buyer of women’s clothes in New York before she married Louis Anzalone in 1954. 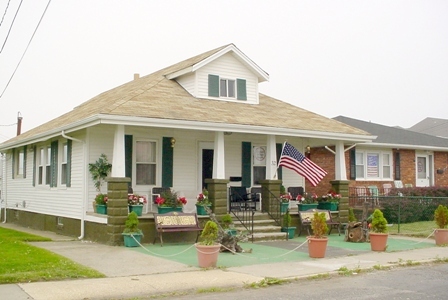 Together, the Anzalones and their son, Thomas, lived at 32 Ocean Terrace, Long Branch.Their house stands at the epicenter of the MTOTSA neighborhood’s eminent domain fight. It was the first home the Anzalones bought and the only one they ever owned. Mrs. Anzalone, who suffered from congestive heart failure and other health problems, attended the oral arguments in the appellate division in May. The family was elated when the court reversed the blight determination last month. See the Star Ledger video filmed on August 8. Mrs. Anzalone is the third elderly home owner who protested, fought and advocated for property rights, but ultimately succumbed to illness before obtaining closure in the Long Branch eminent domain cases. The other MTOTSA neighbors who died were Al Viviano and Anna DeFaria. Mrs. Anzalone will be missed by her husband of 54 years, her son, and all her neighbors, who were united in the battle to keep their homes. The home owners are in the process of petitioning the New Jersey Supreme Court to dismiss the condemnation complaints. Viewing will take place from 2-4 p.m. and 7-9 p.m. on Friday September 12 at Megaro Memorial Home at 503 Union Avenue, Belleville. A funeral mass will be held Saturday morning, September 13, at St. Lucy's R.C. Church in Newark. William J. Ward, Esq. of Carlin & Ward; Peter H. Wegener of Bathgate Wegener & Wolf and Scott Bullock of the Institute of Justice, representing the Long Branch property owners, have cross-petitioned the New Jersey Supreme Court today in the City of Long Branch v. Anzalone and its companion case, City of Long Branch v. Brower et al. Long Branch petitioned the New Jersey Supreme Court to grant certification to review the August 7 decision of the Appellate Division. The city's notice of petition was served on the defendants on August 26. The cross petition is for the limited purpose of affirming the Appellate Division’s finding that “there was not substantial evidence of blight," and dismissing the condemnation complaints outright. See R. 2:12-3(b). The theory for dismissal of the complaints is simple: Since there is no evidence of blight under Article VIII, Section III, paragraph 1 of the New Jersey Constitution and the Local Redevelopment Housing Law, N.J.S.A. 40A:12A-5, there can be no eminent domain action sustained. There simply is no support in the statute or redevelopment law for the trial court to conduct additional hearings on blight in these cases. The Appellate Division heard three hours of arguments from the assembled attorneys representing Long Branch property owners and the city of Long Branch. The argument before the media and a standing room crowd of spectators included the property owners, their families, and interested parties to the eminent domain issues. This case is the most important eminent domain case in the appellate pipeline, and could very well go to the New Jersey Supreme Court, depending on the outcome of the Appellate decision, which is expected in the early fall. Download today's coverage in The Asbury Park Press and The Star-Ledger. The Appellate Division of the Superior Court will hear oral arguments tomorrow in two eminent domain cases, City of Long Branch v. Anzalone and City of Long Branch v. Brower, on the 5th floor of the Richard J. Hughes Justice Complex, 25 Market Street, Trenton, New Jersey. The arguments are before Judges Joseph Lisa, Richard Newman, and Paulette Sapp-Peterson (Panel G). The Appellate Division has issued a revised media advisory. 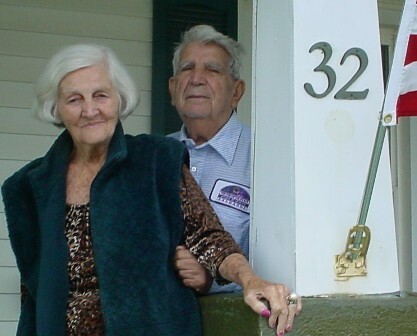 Louis and Lillian Anzalone, who in their nineties are the eldest residents of the MTOTSA (Marine Terrace, Ocean Terrace, Seaview Avenue) neighborhood, are represented by William J. Ward of the law firm of Carlin & Ward in Florham Park and Brian Weeks of the Office of the Public Advocate, amicus in the case. The bulk of the MTOTSA residents are represented by Peter Wegener of Bathgate, Wegener, & Wolf in Lakewood and Scott Bullock and Jeff Rowes, attorneys with the Institute for Justice in Arlington, Virginia. The IJ argued the Kelo case before the U.S. Supreme Court. The homeowners appealed the June 22, 2006 decision of Monmouth County Assignment Judge Lawrence Lawson, who ruled that the property owners were not entitled to a hearing or discovery on the “right to take” and dismissed the owners objections to the appointment of condemnation commissioners -- a final judgment on the right to take issue. This decision, issued a day before the first anniversary of the Kelo case, would allow the condemnation suits regarding the various properties to go forward. The Anzalones obtained a stay at the inception of the appeal. III. Notice and Due Process regarding the redevelopment plan where the status of the properties in the neighborhood was changed from residential infill to properties to be acquired by condemnation. The property owners seek a reversal of Judge Lawson's 2006 decision. In light of recent case law, attorneys representing the property owners will ask the court to dismiss the condemnation cases outright. At the very least, the matter should be remanded to the trial court for discovery and a full evidentiary hearing. The Anzalones will be in court tomorrow for the proceedings. Louis Anzalone, a veteran of World War II and a former engineer with Lionel Trains, has always maintained that he wanted to stay in his home. "I don't want their money," he told the Public Advocate. "I want my house. From my back porch, I have a panorama of the whole ocean. It's heaven on earth." A rally is scheduled for 8:20 a.m. in front of the Hughes Justice Complex. In a significant case, widely anticipated by the eminent domain bar, the Missouri Supreme Court overturned a lower court ruling which would have blocked communities from using eminent domain for private development supported by tax concessions on March 18, 2008. Meanwhile, the city has attacked the defendants in the press for defending themselves in the courts when the city condemned their property, as reported by Timothy Sandefur of the Pacific Legal Foundation (PLF). On April 1, 2008, The Pacific Legal Foundation filed a motion for reconsideration with the Missouri Supreme Court. its incorporation and whose residents approved a local constitution. The case, City of Arnold v. Tourkakis, was brought to the court by Dr. Homer Tourkakis, a dentist who practices in the city of Arnold, Missouri. Tourkakis challenged Arnold’s attempt to seize his property through eminent domain proceedings. In a 6-1 decision written by the Hon. Mary Rhodes Russell, the Supreme Court ruled in favor of Arnold, saying the state constitution gives the legislature the power to allow cities to use the power of eminent domain for redevelopment purposes. The court agreed with Arnold, and reversed the lower court. The Supreme Court said that condemnation is authorized to Arnold for redevelopment of blighted areas under the Tax Increment Financing Act (TIF). The lower court sitting in Jefferson County had distinguished Arnold from constitutionally charter cities, or third-class cities, with regards to the use of eminent domain to achieve economic development. There are 37 charter cities in Missouri. "They're going to put up some fence, and it's going to be in Eagle Pass just to make an example of the mouthy mayor of Eagle Pass." – Mayor Chad Foster, as quoted in the Houston Chronicle. The Bush administration’s decision to move forward with condemnation to acquire the necessary easements for the construction of the border fence makes very little sense. "I think the way that the Bush administration is going about this, filing eminent domain actions against landowners and municipalities makes no sense," Senator Hillary Clinton said in a recent debate with Senator Obama held at the University of Texas in Austin. The border fence project certainly falls within that provision and the damages to the remainder will in all likelihood be a larger issue than the taking itself. We posted earlier that the DHS wanted access to the properties for up to 6 months and the right to remove structures in the way of surveyors and engineers, and each landowner would receive $100 and be reimbursed for any damage to the property. See Don't fence me in with eminent domain (January 24, 2008). The line most-quoted in Robert Frost's poem Mending Wall reads, "Good fences make good neighbors." But it is the first line that speaks from the deep heart's core and tells us, "Something there is that doesn't love a wall." Something indeed. History demonstrates that border walls and fences for the most part don’t work. The Berlin Wall came down when the U.S.S.R. lost power during the Reagan administration. The Great Wall of China did not keep out the Mongolian hordes. This week we have seen the Israeli wall around Gaza and along the Egyptian border breached by Hamas, through a few well-placed land mines, in order to allow Palestinans access to much needed supplies. According to the Associated Press, Egypt has not yet indicated how it plans to reseal the border, though it began positioning armored vehicles Thursday along sections of the breached, seven-mile frontier. Onward to the vast Mexican-U.S. border: President Bush and Homeland Security head Michael Chertoff are committed to build 370 miles of the proposed 670-mile border fence through Texas, California, and Arizona by the end of 2008. Bush signed the Secure Fence Act of 2006 in October 2006, giving the Secretary of Homeland Security 18 months to achieve and maintain operational control over the borders of the United States. The act also provides for the construction of fencing and security improvements along the border area from the Pacific Ocean to the Gult of Mexico. There was an amendment to the act (inserted into a $555 billion spending bill signed into law the day after Christmas 2007 by President Bush). As reported in the Houston Chronicle on January 12, the measure repealed parts of the 2006 law. But Senator Kay Hutchinson, who was accused by two congressmen of repealing the mandate to build the fence, said the new law, SA 2466, requires govenment to consult with landowners and elected officials as it moves to build 130 miles of fence in Texas. However, the government will use eminent domain against property owners opposing acquisition and use of their land for this purpose. Municipalities and property owners affected by the fence question the efficacy of the proposed fence and the cost. As reported in the Rio Grande Guardian yesterday, Laredo Mayor Raul Salinas said, "The fence will not work, so why squander away taxpayer's dollars? I think we have to think about comprehensive immigration reform legislation and think about the guest worker program as alternatives to the wall." According to the Guardian, Salinas was referring to the recent lawsuit where the the federal government won its lawsuit against the city of Eagle Pass to gain access to city-owned land. On Monday, U.S. District Judge Alia Moses Ludlom ordered the city of Eagle Pass, located on the Texas border 100 miles southwest of San Antonio to surrender 233 acres of municipal land. “It seems a little heavy handed,” said Eagle Pass Mayor Chad Foster, who also heads The Texas Border Coalition. The group of mayors, city officials, and business leaders have complained they had not had enough time and opportunity to comment regarding the effect of the fence on their communities, according to a report issued on January 16 by the Associated Press. Instead, Eagle Pass was sued for access to municipal land and blindsided when the judge's ruling was decided within hours on the very same day, before the city could challenge the lawsuit. "Giving the other side notice sounds pretty basic to me. The government is not even following what our justice system asks for," said San Juan Mayor Juanita Sanchez. No government shall impose or implement a land use regulation in a manner that imposes a substantial burden on the religious exercise of a person, including a religious assembly or institution, unless the government demonstrates that imposition of the burden on that person, assembly, or institution (A) is in furtherance of a compelling governmental interest; and (B) is the least restrictive means of furthering that compelling governmental interest. There is a real fear among religious organizations that RLUIPA may not apply because it does not specifically mention the words “eminent domain.” Download the decisions in St. Johns United Church of Christ v. City of Chicago (U.S. Court of Appeals for the Seventh Circuit,2007) and Faith Temple Church v. Town of Brighton, 405 F. Supp. 250 (W.D.N.Y. 2005). In Judge Sheridan's November 29 opinion, the court permitted the plaintiff to amend its complaint on eight counts and denied amendment on a new ninth count. The ninth count alleged violations of New Jersey’s Municipal Land Use Law (MLUL) which is the comprehensive statute governing land use applications and proceedings before zoning boards and boards of adjustment in the state (N.J.S.A. 40:55 D-1 et seq). The court barred the amendment based on the comprehensive system established under the MLUL and the N.J. Court Rules 4:69-1, which established a comprehensive non-jury procedure for plaintiffs contesting a municipal action. The procedure established in the law and the court rules is consistent with the New Jersey Constitution Article IV § 6, Paragraph 2, which mandates uniform policies and procedures that any municipality must follow. Therefore, the court held the proper venue for plaintiff’s count 9 claim was before the New Jersey Superior Court in an action in lieu of prerogative writ. The decision in Lighthouse Institute for Evangelism v. City of Long Branch, rendered by the United States Court of Appeals for the Third Circuit on November 27, has national implications for religious use, zoning regulations, and eminent domain. In its precedent setting 96-page opinion, the Third Circuit ruled 2-1 in favor of the City of Long Branch against Reverend Kevin Brown and the Lighthouse Institute for Evangelism in their attempt to establish a church at 162 Broadway within the Broadway Corridor Redevelopment area. However, the court remanded the case to Judge William Walls in the U.S. District Court for further findings on the plaintiff's challenge to the C-1 ordinance, the zoning for the subject property prior to the adoption of the redevelopment ordinance and plan, under RLUIPA's Equal Terms provision. The court was unanimous that the C-1 ordinance violated RLUIPA. This will entitle the plaintiffs to damages, counsel fees, and costs. Read the opinion here. No government shall impose or implement a land use regulation in a manner that treats a religious assembly or institution on less than equal terms with a nonreligious assembly or institution. Do you need a high I.Q. to understand eminent domain law? After reading the list of Best Law Blogs that made the top ten in the 2007 Weblog Awards, we noted that the Volokh Conspiracy (Ranked #3 in the poll) posts the reading level of their blog at Junior High School level. So we were curious to see what our reading level is, and after testing it three times....Voila! It appears that you need to be a genius to understand it. Congratulations, readers! We always knew you were among the best and brightest. On June 25, 2007, the Supreme Court of the United States decided Wilkie v. Robbins (06-219.) The case was barely reported in the media but was anticipated by property rights activists since it was the first significant property rights case decided by the Supreme Court since Kelo v. City of New London. 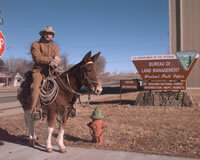 See blog post of April 1, 2007, on government retaliation and private property rights. It is clear from the colloquy with counsel during oral argument and the concurring opinions of Justices Thomas and Scalia that the Court had no intention of expanding the Bivens doctrine to include alleged violations of a plaintiff’s Fifth Amendment rights. But what makes Wilkie particularly troubling is the clear pattern of harassment against Robbins by the BLM over the course of five years. While the alleged violations by BLM employees against Robbins have administrative and state court remedies, the problem remains that these could only be pursued piecemeal, at the great expense of time and money by the property owner. BLM, on the other hand, had the full weight and resources of the federal government on their side. The majority grounded their opinion in part on the imaginary horribles: i.e., a Bivens claim would give rise to a flood of similar cases in the district courts, and the Court felt there were ample options available to remedy the alleged wrongs. Moreover, the Court suggested that it was the role of the Legislature to fashion a remedy for Robbins rather than the role of this Court to expand the Bivens doctrine. Eminent Domain: Won't you be my neighbor? It's a beautiful day in this neighborhood…or is it? Have you noticed? It’s not exactly Mr. Roger’s neighborhood anymore. Neighborhoods continue to be shocked by the use or threat of eminent domain, the determination of blight, and the politics of site selections. This is a nationwide problem. We will sell "voluntarily" to the district or get involuntarily "condemned," unless the plan changes. My interpretation: Not only can the government take my land without my permission, it can also set the price. And here, between the little streets of Tobias and Willis, Hart and Bassett, it can bulldoze a community that's taken decades to build. It's a problem in New Orleans, where the gutting of homes has proceeded under the Good Neighbor Plan. The plan calls for a "neighborhood blitz" whereby representatives of the Mayor’s Office, the Good Neighbor Plan Task Force, and neighborhood volunteers will walk their neighborhoods to identify properties that are not in compliance with the City’s Ordinance. The so-called "gutting law" was an ordinance passed August 25, 2006, determining procedures that identify whether a nuisance property should be demolished, determined to be blighted, or determined to have been abated. These procedures begin with a notice sent to the last known address for the property owner. Of course, this is ludicrous when the property owner has been displaced and moved out of state in the aftermath of Hurricanes Katrina and Rita. See our post of August 27, 2006, on the August 29 "eminent domain" deadline. Councilwoman Shelley Midura told The Times Picayune on Good Friday, "The property rights of people who are doing everything to get back are not being respected." Brandon Darby, director of Common Ground, said that the Good Neighbor program will "result in a land grab against low-income people of color." Whether government officials acting pursuant to their regulatory authority can be guilty under the Racketeer Influenced and Corrupt Organizations Act (RICO), 18 U.S.C. 1961 et seq., of the predicate act of extortion under color of official right for attempting to obtain property for the sole benefit of the government and, if so, whether that statutory prohibition was clearly established. Whether respondent's Bivens claim based on excercise of his alleged Fifth Amendment rights is precluded by the availability of judicial review under the Administrative Procedure Act, 5 U.S.C. 701 et seq., or other statutes for the kind of administrative actions on which his claim is based. Whether the Fifth Amendment protects against retaliation for exercising a "right to exclude" the government from one's property outside the eminent domain process and, if so, whether that Fifth Amendment right was clearly established. The case involves Harvey Frank Robbins, a Wyoming rancher, who purchased his property in 1993 not knowing that the prior owner had negotiated an access easement with the Bureau of Land Management (BLM). The BLM agents never recorded the easement, so when the Bureau contacted Robbins ordering him to sign over the easement, he refused. This precipitated a 14-year battle between Robbins and the BLM. They gave him a "hardball education" by canceling his right of way over adjoining government land, denying him permits, citing him for minor infractions, and bringing him up on charges of interfering with federal agents doing their duties. He was acquitted of these accusations by a jury. After all this bullying, Robbins sued the agents in federal court for violating his constitutional rights to use, control and enjoy his property, and for trampling his due-process rights. The 10th Circuit Court of Appeals decision affirmed for Robbins on the merits. The government appealed. The critical issue for Robbins and other property owners asserting their 5th amendment rights is whether they can do so without fear of retaliation by government officials. Many property owners affected by eminent domain are reluctant to speak out, fearing government retaliation, which may come in the form of code enforcement, health and safety inspections -- all done with an objective to force them to give up their property rights for redevelopment before, or even resisting, the eminent domain process. We will monitoring developments in this case and will report immediately regarding the decision of the United States Supreme Court. It requires 80 percent of those who live in a proposed redevelopment project area to sign a petition saying they want the land condemned. It would also require a two-thirds vote of a city's redevelopment authority board to approve the condemnation. The new land law should provide for state governments or corporations to negotiate acquisition proposals with farmers, and then let the farmers vote on the deal. If a large majority--it could be two-thirds or three-quarters--vote in favour of selling, this should be binding on the minority. In this scheme, the final decision will lie not with the state government or corporation, but with the community of farmers. It will constitute community-led acquisition. It will respect both the property rights and dignity of farmers, and make them full partners in industrialisation. Let us practice the change we wish to see in the world. A donation in honor of our clients, colleagues, and friends was made to Doctors without Borders for their work with the refugees of Darfur. Refugees are endemic throughout the world. While we do not usually cover international news, this time of the year it is appropriate to consider the freedoms that we take for granted and the terrible needs of others. 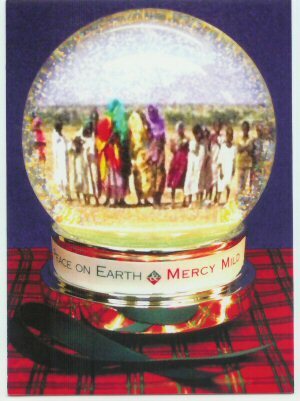 The genocide and the displacement of the people of Darfur call us to action. The abject failure of our governmental agencies to function during a time of national crisis in the Gulf Coast states during Hurricanes Katrina and Rita last year was another example of a disaster that rendered many homeless. Perhaps you do not see the thread that connects refugees of Darfur to displaced people of New Orleans to citizens of Bound Brook, New Jersey, who have lived in an area designated "in need of redevelopment" since 1999 and the floods of Hurricane Andrew. One crisis is international, one is national, and one remains in our own backyard. The proportions may be weighed, but the degrees of separation are no greater than our awareness. We have a choice: We can ignore the plight of thousands in the world, or we can support organizations that benefit situations we cannot change. We can create displacement through misuse of eminent domain and redevelopment laws that threaten homes and businesses, or we can change the federal and state laws. Let us dedicate ourselves in the new year to practicing a greater concern for humanity in our personal actions and our laws. President John F. Kennedy said, "Of those to whom much is given, much is required." And Mahatma Gandhi said, "Be the change you wish to see in the world." Thirteen states had ballot questions regarding post-Kelo eminent domain reform, a few with initiatives that included regulatory takings. The coupling of eminent domain reform with regulatory takings, was in our view, problematic. See our blog post of September 27. Also see Volokh Conspiracy Blog post of November 8 on this issue. Three out of four states, California, Idaho, and Washington rejected eminent domain reform coupled with regulatory takings. The only state to pass such an initiative was Arizona. While U.S. Senate failed to act on H.R. 4128 companion bill or S. 3873, recently proposed by Senator James Inhofe, Congress has a lame duck session (November 13-November 22) - a final window of opportunity to vote upon these companion bills. Concerned citizens should take advantage of this and contact their senators prior to November 13. However, on Friday September 29, the U.S. House of Representatives approved the Private Property RIghts Implementation Act of 2006, H.R. 4772 by 231 to 181 votes. Only Scott Garrett (R-NJ-5) voted to approve the bill; All other New Jersey representatives voted "nay." According to a Reuters report which appeared in theWashington Post, this bill would allow "homeowners and developers to bypass state and local courts to make federal constitutional claims to fight takings by eminent domain or to wage disputes over property use restrictions." The bill is sponsored by Representative Steve Chabot (R-Ohio), who believes that homeowners might avoid costly and lengthy state court battles, pass GO, and head directly to the federal court system on constiutional issues. The legislation purports to level the playing field for small and middle class property owners and retirees, as well as small developers and middle class Americans with financial constraints. H.R. 4772 will allow greater and fairer access to Federal courts by those who assert Federal property rights claims under the Fifth Amendment's Takings Clause. H.R. 4772, the `Private Property Rights Implementation Act', is substantially the same as H.R. 2372, which passed the House during the 106th Congress on March 16, 2000, by a vote of 226-182. Under current law, property owners are now blocked from raising a Federal Fifth Amendment takings claim in Federal court. The Supreme Court's decision in Williamson County v. Hamilton Bank, 473 U.S. 172 (1985), requires property owners to pursue, and exhaust, all available remedies for just compensation in State court before the property owner can file suit in Federal court under the Fifth Amendment. In San Remo Hotel v. City and County of San Francisco, 125 S.Ct. 2491 (2005), the Supreme Court recently confirmed and did not modify prior lower court case law that held that once a property owner tries their case in State court, and loses, the doctrines of res judicata and claim preclusion allow Federal courts to dismiss the claims on the grounds they were already decided by the State court. The combination of these two rules means that those with Federal property rights claims are effectively shut out of Federal court on their Federal takings claims, setting them unfairly apart from those asserting any other kind of Federal right, such as every Americans' First Amendment right to freedom of speech and freedom of religion, which may be asserted in Federal court in the first instance. Unfortunately, there is no companion bill to H.R. 4772 in the U.S. Senate at this time, and it is unlikely there will be, even if the proposed legislation can be rolled into another bill. Our New Jersey state senators have a similar situation at hand with the inaction on New Jersey Assemblyman Burzichelli 's bill. Click on the link below to read the entire text of H.R. 4772. Ever since the June 2005 Supreme Court Ruling in the Kelo case, eminent domain, its abuse, and related property rights issues have generated stories; and in turn, those stories have grown legs, appearing daily in all forms of local and national media – radio, television, print, and the internet. A disturbing trend has developed around eminent domain abuse issues, post-Kelo: Charlatans and opportunists are showing up in droves, and their tactics and misuse of the eminent domain abuse issue is hurting the movement. Just in the nick of time, and two weeks before the United States Senate will adjourn, Senator James Inhofe (Republican, Oklahoma) introduced the "Property Rights Protection Act of 2006" (S3873). The bill is the same as H.R. 4128 which was passed by the House of Representatives in 2005 (325 affirmative votes to 38). H.R. 4128 has been dormant in the Senate Judiciary Committee, despite the efforts of many property reform groups to see some action. The new bill, S3873, will go directly to the floor of the Senate, requiring Senator Majority Leader Bill Frist to put eminent domain reform on the agenda. Other Republicans, including Arlen Specter, Bill Frist and President George Bush are missing in action on this issue. Eminent Domain reform is an important issue nationwide and will not go away. …Mayor Ray Nagin and the New Orleans City Council have callously chosen the one-year anniversary of Katrina to begin a policy that will demolish what little hope displaced, largely African American, families have of returning to their city. In May, the New Orleans City Council unanimously passed City Ordinance #26031, which sets a deadline for homeowners to gut their homes or potentially lose them. By Aug. 29, homeowners who have not been able to make the necessary repairs to their battered homes risk having their property seized by eminent domain and bulldozed by the city. The Council’s decision will further “cleanse” New Orleans of its African American low and middle income families, continuing the exclusion and discrimination that have become hallmarks of the reconstruction. If you are displaced from New Orleans or know someone who is, call ACORN now at 1 (800) 239-7379, ext. 187, to begin the process of saving your home by putting it on the clean-out list. Other organizations providing free house gutting – and also seeking volunteers and donations – are listed on the City of New Orleans website, http://www.cityofno.com. They include Common Ground, (504) 312-1731; United Methodist Recovery, (504) 461-0425; Catholic Charities, (504) 895-5439; and United Church of Christ, (504) 258-7306. (a) When buildings used for living purposes have become and remain vacant as a result of damage sustained by Hurricanes Katrina and/or Rita, such buildings shall be subject to inspection by various inspection agencies of the city where the safety, health or welfare of the citizens of the city is concerned. The city may utilize records of public utilities or private utilities regulated by the city to determine when a premise is vacated. (b) Every owner of a dwelling or dwelling unit shall be responsible for mold remediation, cleaning, gutting, and properly securing the premises of all properties so damaged in a manner so as to render the premises environmentally sound and not open to the public. (c) Every owner of a dwelling or dwelling unit shall take appropriate measures to complete this work as soon as possible, but no later than August 29, 2006. (d) All dwellings and dwelling units which, after inspection, are found not to comply with the requirements of this section are hereby declared to be public nuisances and shall be abated by repair, rehabilitation, demolition or removal in accordance with the provisions of this Article. This is a good step for private property owners, but what the President should do is spend a portion of his remaining political capital to get Senator Arlen Specter, Chairman of the Senate Judiciary Committee, to act on the "Private Property Protection Act." The bill, HR-4128, passed overwhelmingly in the House of Representatives last November and sits dormant in Senator Specter's committee. If President Bush wants to recapture popularity, this is an issue that has enormous public support and needs to be addressed at all levels of government. "Americans remain vulnerable to government's ability to snap up a family's home or church today and turn it into a mansion tomorrow." Today 53 national and state property rights organizations sent a message to Senate majority leader Bill Frist according to U.S. Newswire. They're asking that the Senate Judiciary Committee to pick up the pace and schedule a hearing on H.R. 4128, the "Private Property Rights Protection Act of 2005" which was passed by the House last November. The bill has languished in the Senate Judiciary Committee. Download the letter. Perhaps this letter will inspire Senator Arlen Specter (R-Pennsylvania), chairman of the Judiciary Committee. Your home is your sanctuary. It's the place where you can retreat from the world and the troubles of the day and feel safe in familiar surroundings. All of this is about to change in Long Branch, New Jersey, through eminent domain proceedings filed this week against the remaining homeowners in Beachfront North Phase 2. And as reported in the Atlanticville by staff writer Christine Varno, the Long Branch City Council voted unanimously to approve the use of eminent domain for the acquisition of 30 properties in Beachfront South at a special meeting held four days before the Chrismas/Hannukah holiday recess. The obscene land grab by Long Branch for the benefit of its developers, K. Hovnanian and Applied Management, continues. The city continues to ignore the conflict with borough attorneys Greenbaum, Rowe and Smith and K. Hovnanian. When asked by resident Harold Bobrow if there was a conflict, the mayor and council told him that that the issue is in litigation and that nothing improper was done. This is a startling revelation by the city given the undisputed facts which have been widely reported in the Atlanticville and previously referenced in our last post on this blog. The public will get to hear all the facts when Judge Lawson conducts hearings on Long Branch's right to take the properties recently condemned for Beachfront North Phase 2. There are 36 homeowners left in Beachfront North. If the city is allowed to proceed with eminent domain, we will be reading a list of senior-citizen homeowners who have lost their property, not unlike the daily litany of young soldiers who gave their lives defending our freedom on foreign shores. How have we come to this: that government is permitted to take property from one private land owner for the benefit of another private landowner? This is not the "public purpose" that our Founding Fathers envisioned when they permitted in the Constitution private property to be taken for public use. The concept of public use has been distorted and bastardized through the expanded definition of blight to which our courts have acquiesced. Voting 376 for and 38 against, members of the House of Representatives passed the Property Rights Protection Act on November 3, 2005. Under the House bill, federal funds would be denied to the states or political subdivisions to acquire property for economic development. Download the text of H.R.4128. The bill gives any aggrieved property owner the right to bring an action to enforce the provisions of the Act in the appropriate Federal or State court. The law puts the burden of proof on the defendant to show by clear and convincing evidence that the taking is not for economic development. The Act further provides that a prevailing plaintiff shall be allowed reasonable attorney's fees as part of cost of the action including expert fees as part of the attorney's fee. Interestingly, the only "no" vote in New Jersey's delegation was Rep. Steven R. Rothman (D) of Fairlawn, NJ. View the House of Representatives Roll Call here. The bill now goes to the Senate for approval where Senator John Cornyn has proposed legislation. While Kelo may have given developers and their political allies a legal green light to seize private property, fierce grassroots opposition may ironically make it harder for them to do. "I don't think the [New London] homeowners are ever going to have to move," Berliner said, predicting that a flurry of legislation will be passed within the next six months. "Most states are going to pass something. They have to." Or face some pretty angry constituents. The final step in the eminent domain process is about to occur in New London, Connecticut. Susette Kelo and her neighbors were condemned by the New London Development Corporation (NLDC) in 2000. They challenged the taking all the way to the United States Supreme Court and lost in a controversial 5-4 decision. See decision in Kelo v. New London. On August 22, the U.S. Supreme Court denied a request to reconsider the case. The reaction to the Kelo decision has been strong and consistent. People are outraged. They did not realize government could take their homes and they further did not realize that some takings are not for the traditional public purposes such as highways, schools, or parks. Some takings, such as the NLDC acquisitions are for redevelopment where the taking agency transfers title to the property taken to a designated developer for redevelopment with a project which benefits the private developer, and indirectly the city, with new tax revenues and construction. Susette Kelo and her neighbors were served with eviction notices and demands for back rent by NLDC in early September. The letters said, "You are required to quit possession of the premises no later than December 8, 2005." Homeowner Michael Cristofaro told World Net Daily, "As further insult to injury they are requiring us to send $600 a month rent." According to the Hartford Courant, the letters from the New London Development Corporation stirred a tempest of emotions and a crossfire of recriminations between lawyers for the seven homeowners and officials of the NLDA, with each side accusing the other of lying. The Economist declared that the "Supreme Court ruling that allows the government to seize private property has set off a fierce backlash that may yet be as potent as the anti-abortion movement." A current list of proposed legislation by the states can be viewed on the Castle Coalition website. Even local ordinances are being drafted by municipalities, such as Middlesex, New Jersey, where Council President Jerry D'Angelo said, "I think it's comforting for individuals to know they're not going to be forced out." Let's just say everybody's busy legislating from California to the Gulf Stream waters. At least two states, Alabama and Delaware, have signed bills that limit the right of local governments to seize property. Even U.S. Representative Maxine Waters, (D)California, signed two bills sponsored by Republicans. This rare alliance between conservatives and liberals shows that the eminent domain issue resonates with all politicians. According to The Black Voice News, Waters' district includes some of California's poorest and blighted communities. "The intense reaction - this backlash - has caught a lot of people off guard," said Larry Morandi who tracks land use developments for the National Conference of State Legislatures. ...the economic development rationale for "takings" is often a euphemism for a stealth war on the poor and near poor. Getting them out to make way for tonier new residents is often the unspoken agenda for replacing garden apartments with high rises or malls. In Long Branch, retired cottage dwellers will be displaced to make way for condos for the rich; in Lodi, trailer park dwellers face eviction to make way for upper-income housing and shopping -- and on it goes across the state. On June 30, 2005 the United States House of Representatives passed a bill 231 to 189 which would deny federal funds to any city or state project that used eminent domain to force people to sell their property to make way for a profit making project. See yesterday's Washington Post article.The House vote is another expression of the outrage that the members are hearing from their constituents. The vote is not law, and it is unclear, what if anything the senate will do in this regard. The House also introduced Resolution 340 to express "the grave disapproval of the House of Representatives regarding the majority opinion of the Supreme Court in the case of Kelo v. City of New London that nullifies the protections afforded private property owners in the Takings Clause of the Fifth Amendment." Democratic House leader Nancy Pelosi of California has spoken out on the eminent domain issue. Ms. Pelosi shows a shocking lack of understanding of the decision, the role of the Supreme Court, and the role of the legislature. See US Newswire transcript of her press conference and suffer the details. A tsunami of public anger has swept the internet, the blogosphere, and the editorial pages of newspapers as countless citizens are waking up to the fact that their homes may be at risk. It's all about the U.S. Supreme Court's decision last week in Kelo v. New London and Eminent Domain. It cuts across party lines and it shocks liberals and conservatives alike. More than any other contemporary issue, this one hits the mother lode: private property rights. The decision effects the rich, the middle class, and the poor. It reaches to the core of our beliefs in liberty, justice, and the American way of life. "As for the victims," Justice Sandra Day O'Connor said in her dissent, "the government now has license to transfer property from those with fewer resources to those with more. The Founders cannot have intended this perverse result." The hue and cry has been swift. Hours after the court's 5-4 ruling came down, the Houston Chronicle reported that Rep. Frank Corte Jr. (R-San Antonio) said he would seek "to defend the rights of property owners in Texas" by proposing a state constitutional amendment limiting local powers of eminent domain, or condemnation. Today the Eminent Domain trilogy is complete. In May, the Supreme Court affirmed long standing regulatory takings stands in Lingle v. Chevron USA. Today, Kelo v. New London affirms long standing decisions regarding takings for public use in Midkiff and Berman. And last Monday, in San Remo v. San Francisco, the Court said property owners could not litigate in both the state and federal courts at the same time. In other words, don't call us, and we won't call you. WAITING FOR KELO: Will it have an impact on Eminent Domain in New Jersey? Kelo v. the City of New London (04-108) should be decided this week by the United States Supreme Court. Don't hold your breath, property owners. It may be a non-event. Cities and states, eager for new development, began pronouncing neighborhoods blighted when they were simply working-class. Some went further, stretching the meaning of "public use" beyond "public purpose" into mere "public benefit." They condemned and seized private property on the grounds that another owner could use it to make more money, create more jobs, or generate more business -- all leading to more taxes, the supposed public benefit.... That 1954 ruling weakened the very foundation of our liberty: the right to own and lawfully enjoy property. The question presented to the Supreme Court by the plaintiff Susette Kelo is this: What protection does the Fifth Amendment's public use requirement provide for individuals whose property is being condemned, not to eliminate slums or blight, but for the sole purpose of "economic development" that will perhaps increase tax revenues and improve the local economy? Are there limits on government's use of eminent domain power under the public use requirement of the 5th Amendment? This is how the question was posed by attorney Scott Bullock (Institute for Justice)for the plaintiffs at the beginning the oral argument on February 22. The colloquy between the Court and counsel is enlightening. REGULATORY TAKINGS IN EMINENT DOMAIN: Looking at New Jersey's Highlands through Lingle v. Chevron U.S.A.
We have had numerous inquiries lately regarding the recently enacted (Aug 10, 2004) Highlands Water Protection and Planning Act in New Jersey. 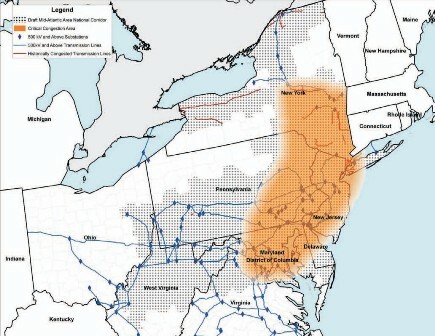 The Act preserves and protects approximately 400,000 acres in New Jersey's Highlands region and sources of drinking water for New Jersey residents. However, the Act has resulted in development being stopped, subdivisions thwarted, and long planned projects by farmers and ordinary citizens halted as the state seeks to preserve the Highlands area of New Jersey for water protection and planning purposes. Some property owners claim that this Act violates their rights and is effectively a taking without compensation. Do these regulations and their effect on property rights constitute a taking for a "public purpose" under eminent domain statutes in New Jersey, and either the New Jersey or United States Constitutions? The quick answer is probably not. Simply stated, property owners will have a very difficult time proving they fall within the regulatory takings categories enumerated in a recent U.S. Supreme Court Case, Lingle v. Chevron U.S.A., which was argued on February 22 and decided on May 23, 2005. This case is the first in a triology of eminent domain cases to be decided before July. "No person shall be � deprived of life, liberty, or property, without due process of law; nor shall private property be taken for public use, without just compensation." The issue of property taken for public use and the development of that property has been addressed by many state courts, including New Jersey. The New Jersey Constitution, Article 1 Section 20, similarly states: "Private property shall not be taken for public use without just compensation. Individuals or private corporations shall not be authorized to take private property for public use without just compensation first made to the owners."